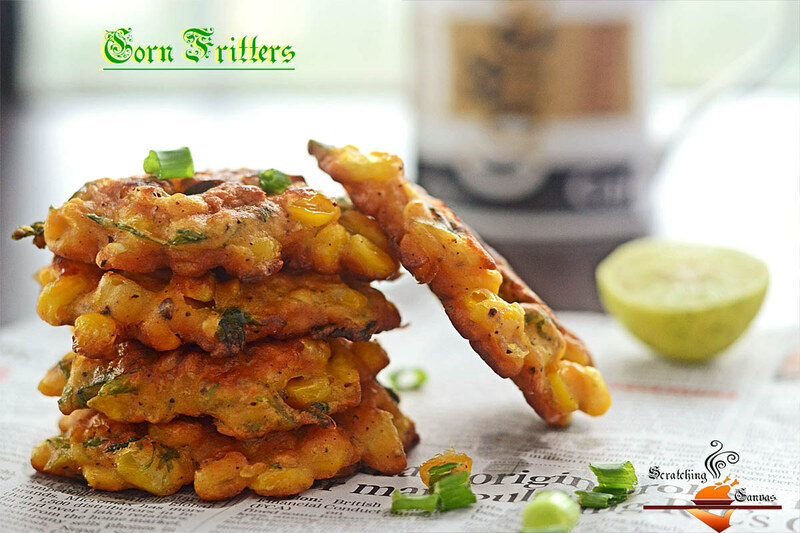 Fritters are meant to be eaten at any time of the day; especially during monsoon. And I do full justice to them by munching them all day long whenever I’m at home. I prefer weekends for these kinds of spicy activities. On last weekend when my ‘Boondi Laddu’ making was on full swing I made few corn fritters to balance the sweetness in my blood. 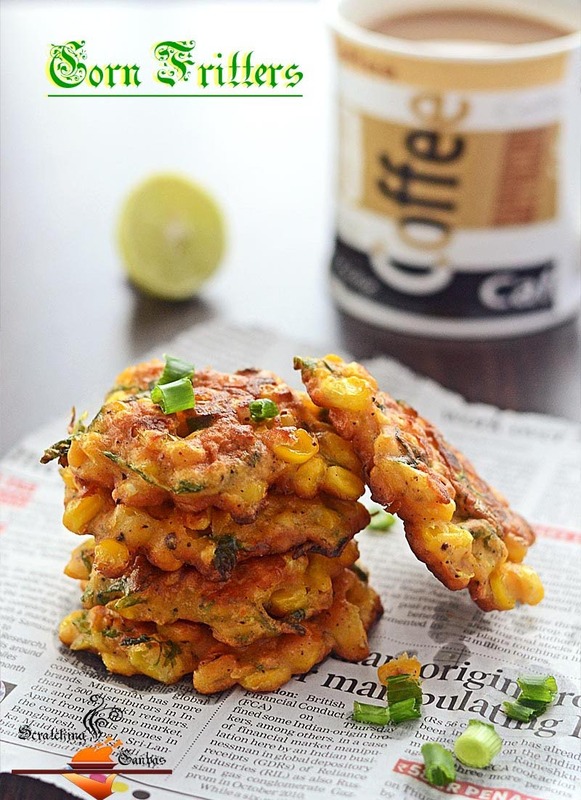 Mostly I prefer fritters during Monsoon; Summer is too hot to prepare fritters and Winter is too lazy to move. We enjoy monsoon only for 2 months here in western part of India. On last weekend when I saw “That cold black cloud is coming’ down” I truly felt like “I’m knockin’ on heaven’s door”. Rain, cold breeze are perfect complement for fritters. My favorite fritters are Onion fretters, Banana fritters, Chicken fritters which I try most of the time. They are quick efficient and satisfying. This time I wanted to try something different; non desi style. 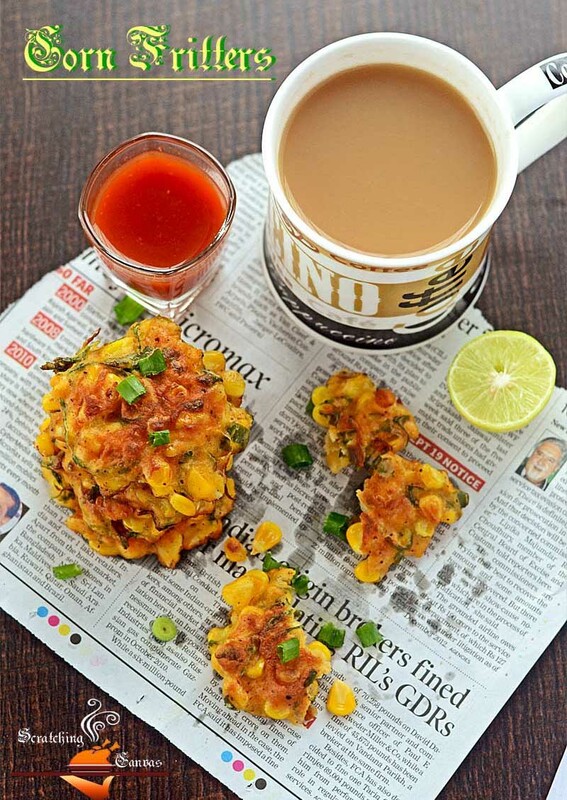 I chose this Mexican Corn Fritters which has the spicy tangy chili tomato salsa sauce, sweet corn, freshness of coriander and the heat quotient from jalapeno. All in one a garden fritter. 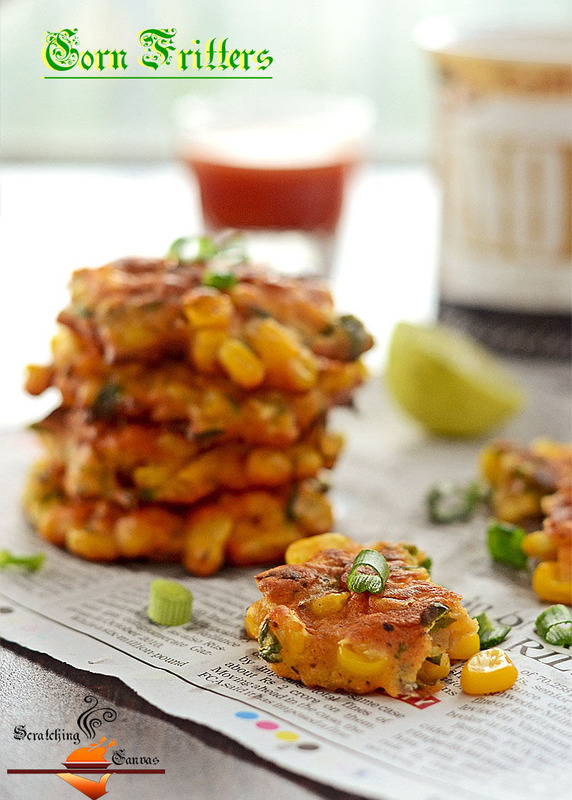 So hop in to get recipe of Mexican Corn Fritter. Clean and wash the coriander & jalapeno, green onion and chop finely. 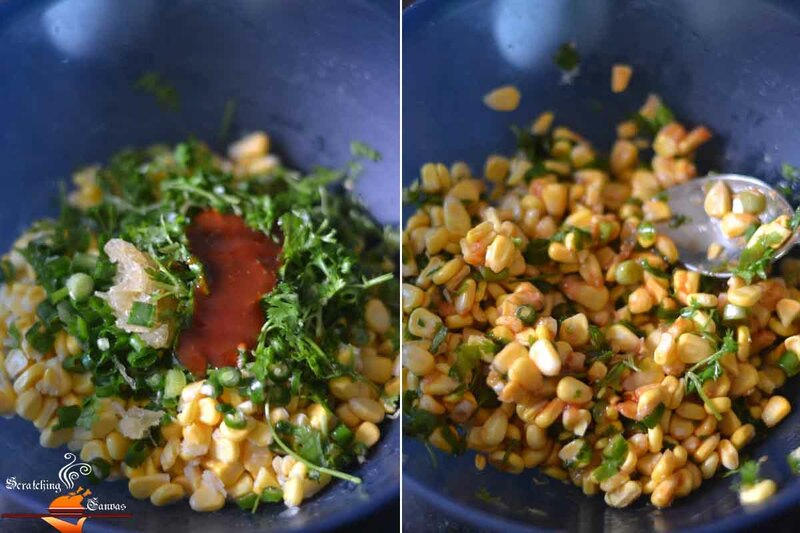 Mix corn, coriander leaves, jalapeno, minced garlic, Chili Tomato Salsa Dip & lime zest together in a large bowl. 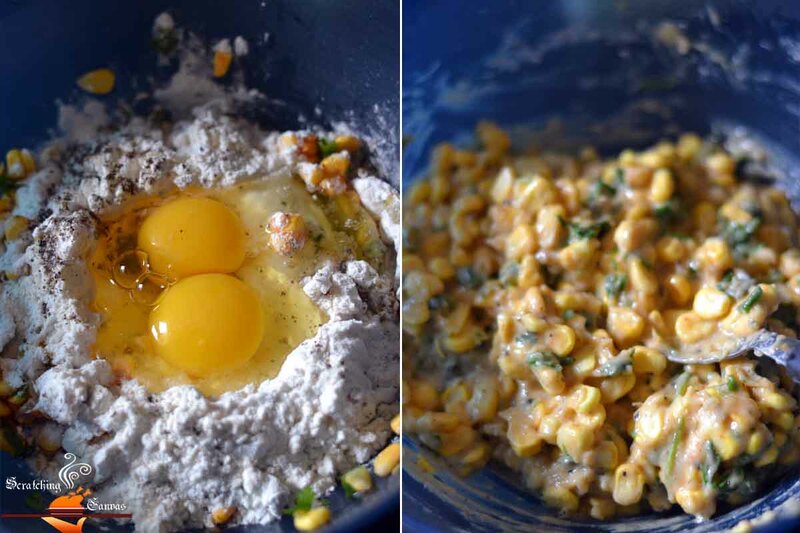 Add eggs, rice flour and all-purpose flour and mix well so that everything comes together. Adjust seasoning. Heat oil in a frying pan on medium flame and when the oil is hot turn down the flame to low-medium. 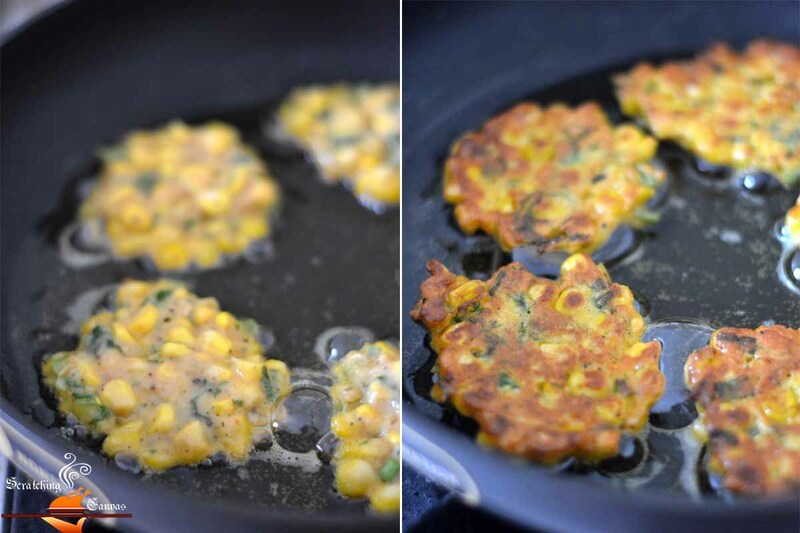 Add 1-2 tbsp of corn mixture in the hot pan and press gently to give it a shape of a pattie. Form 4-5 pattie at a time on the pan leaving 1 inch space between. 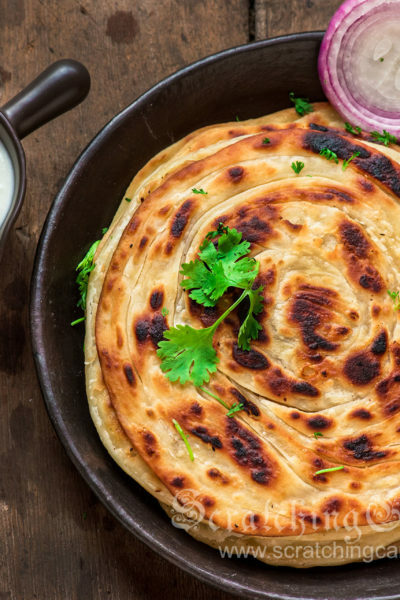 If you have a larger pan, make more at a time. But make sure not to over crowd the pan. Fry the patties until both sides are nicely browned. Remove the fritters with a slotted spoon and place them on paper towel to get rid of excess oil. Fry rest of the patties by following same procedure. 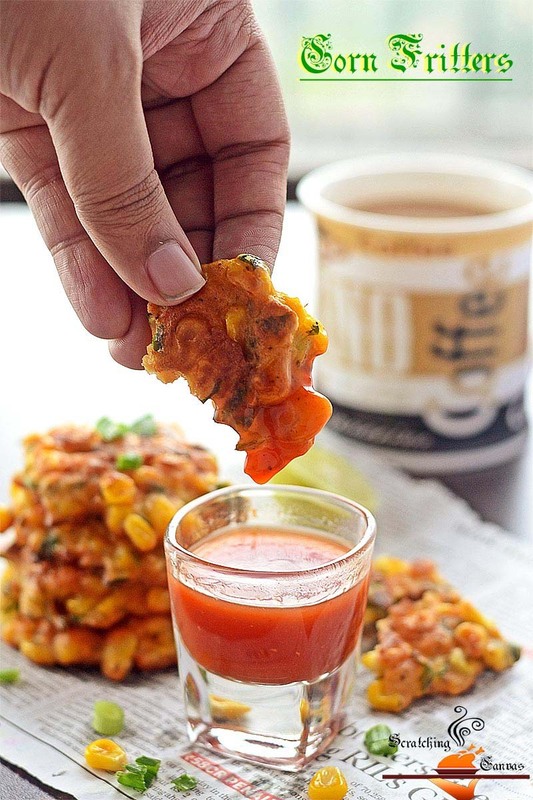 Serve the spicy Mexican Corn Fritters with Chili Tomato Salsa Dip and sour cream. excellent recipe anc beautiful photo! They are so tempting. I will also try eggless version.